TURIN, Italy – With a well-practiced eye, Signora Greni carefully selects chocolates from the vast assortment spread out in front of her. She works quickly, her delft hand slipping chocolate and hazelnut nuggets next to ebony colored seashells, and dark bitter chocolate truffles next to chocolate covered cognac creams. Row by row, layer by layer, the fragrant chocolates are settled into frilly paper cups. When the box is filled she covers it with embossed paper, pops on the lid and another assortment of amazing chocolates from the Peyrano chocolate factory in Turin is on its way to some happy chocoholic somewhere in the world. It’s a Cinderella story. The smooth and silky chocolates in the fancy beribboned box start out as part of the thousands of pounds of cocoa beans delivered monthly to the many chocolate factories scattered throughout the city. 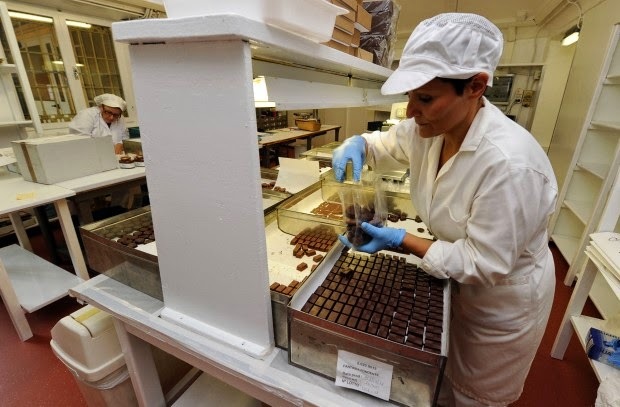 But once the beans are in the hands of Turin’s master chocolatiers, the magic begins. No doubt the thousands of dedicated chocoholics who turn up each year to munch their way from booth to booth, would be surprised to learn that before a clever Turinese discovered how to turn the bitter liquid into solid chocolate all you could do was drink it, although it is hard to imagine why anyone would have wanted to. Chocolate in the 1700’s was not the smooth and silky seductive chocolate of today. It was gritty and bitter, and needed massive doses of hot water, sugar and vanilla just to make it palatable. But the rich and noble found it irresistible, and it wasn’t long before drinking hot chocolate became a daily ritual, le must of the elite, practiced in the royal courts and elegant cafes throughout Europe. As chocolate grew in popularity so did the myths and mysteries. While some argued that chocolate prolonged life, cured ringworm and ulcers, piles and gout, monks were urged not to drink it as their Bishops thought it inflamed sexual ardor. And if the Bishops were right, well then, all the more reason to imbibe. It got people thinking. If such passion could be stirred by a simple chocolate drink, then surely more could be done with this wonder bean. Think of the money to be made. The question then became how to solidify the liquid, because by solidifying it the marketing and sales possibilities increased tenfold, a hundredfold - but who would be the first? Chocolatiers from one end of Europe to the other tried everything they could think of. They took freshly processed cocoa beans and they baked them, they boiled them, they even tried adding olive oil to them, but nothing worked. It was as mysterious and futile a process as trying to spin straw into gold. But then, just as the 18th century was coming to a close, a Turinese chocolate maker unlocked the secret. Tinkering with a pastry making machine, he figured out how to blend the right amount of bitter cocoa with sugar and vanilla and there it was – solid chocolate. A star was born. 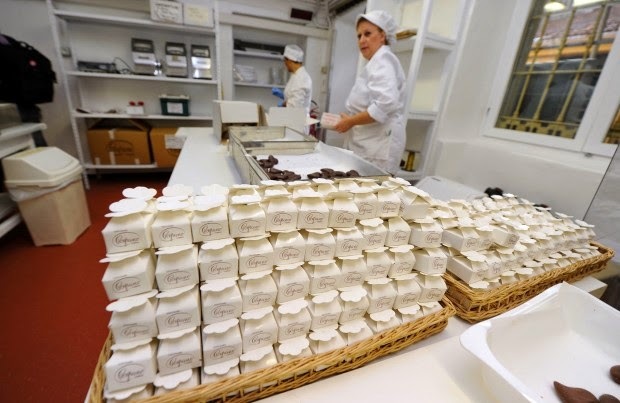 Turin was thrust into the spotlight as the European Capital of Chocolate. It is hard to imagine the level of the city’s involvement with chocolate until you realize that while most cities offer museum and bus passes, only in Turin can you by a ChocoPass, a book of coupons to sample some of the best chocolate candies and chocolate specialties in town. You’ll find homemade chocolates in just about every bar, café’ and bakery in town. And while it’s true that there are many high quality chocolate makers throughout Italy and Europe, a recent chocolate guide published by one of Italy’s premier food magazines, listed more master chocolatiers in the city of Turin than in all of Belgium and France combined. Here are three of the city’s best. Like Willie Wonka’s chocolate factory, Peyrano is a non-pollutionary, anti-institutionary, pro-confectionery factory of fun that turns out exquisite, handmade chocolates with a quality level that is off the charts. Peyrano has the reputation of being the best of the best, no small compliment in a city of chocolate connoisseurs. Using a classic recipe from the 1860’s, this factory specializes in the gold foil wrapped chocolate and hazelnut gianduiotto nuggets. 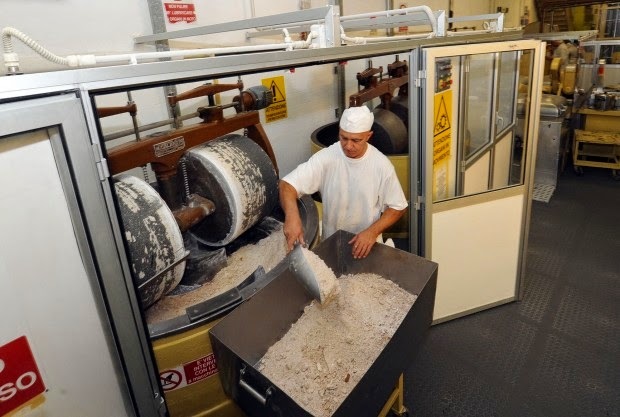 They also produce tubs of creamy gianduiotto that Italians love to spread on bread for a snack. 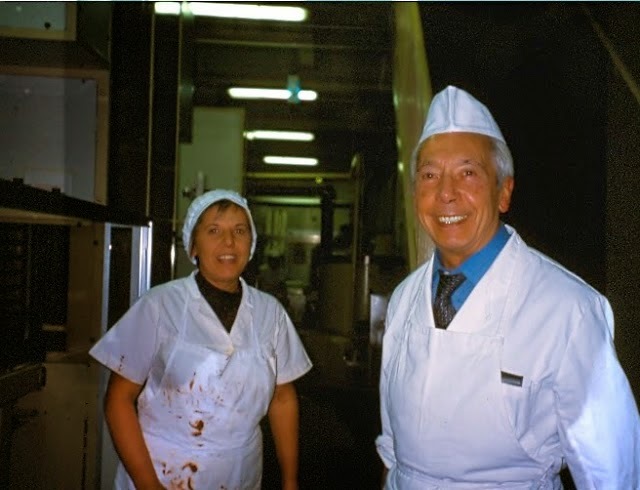 Giuseppe Peyrano considers Guido Gobino his only serious competitor, and that alone qualifies him for a gold star on the Chocolate Walk of Fame. The swirls and curls that decorate the beautiful confections at this pastry slash chocolate shop – not to mention the outrageous packaging - are enough to send you running back to the hotel for your camera. The shop, which has been around since 1836, is full of rococo gilt and sophisticated Murano chandeliers that illuminate the elaborately decorated boxes of handmade chocolates.